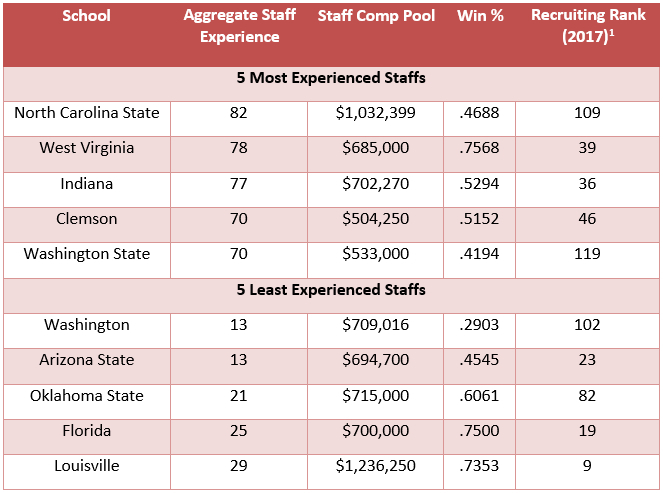 We reviewed all forms of compensation for the men’s basketball assistant coaches at National Collegiate Athletic Association member institutions of the Atlantic Coast, Big Ten, Big 12, Pac-12 and Southeastern Conferences (the, “Autonomy 5”). 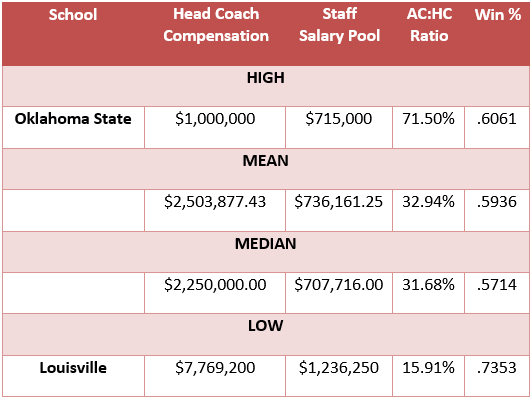 We analyzed these assistant coaches’ employment agreements and related documents, which were obtained in partnership with USAToday, and created a sortable database of primary compensation (click here to view the database). In conjunction with this analysis, we researched and considered applicable biographical and performance data. And from this aggregate analysis we respectfully submit . 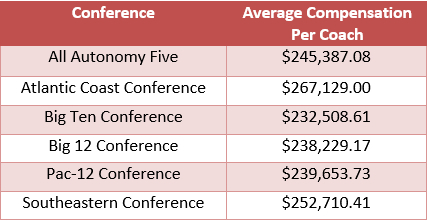 . .
31.8% of Autonomy 5 MBB assistant coach contracts cover two or more seasons. In comparison, 56.9% of Autonomy 5 FB assistant coach contracts cover two or more seasons. Each of the Indiana assistant coaches received two year employment agreements with identical terms (7/1/2016-6/30/2018). 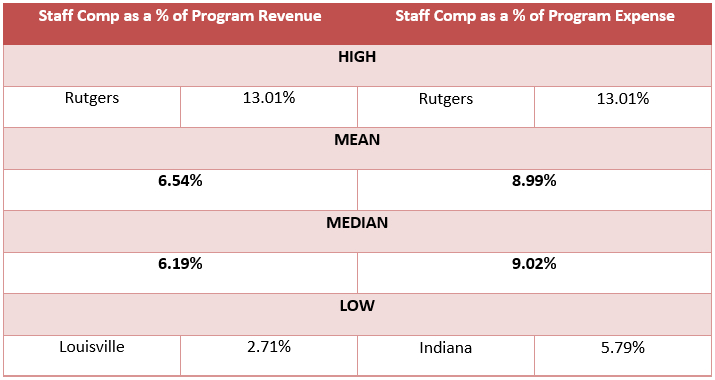 In the event Indiana chose to terminate an assistant coach without cause, IU is obligated to pay the assistant the balance of salary due and bonuses earned through the end of the term, subject to mitigation (i.e., a dollar-for-dollar offset based on the assistant’s total compensation earned through the end of the term from comparable employment). If, however, the head coach’s employment is terminated for any reason (including death or disability), in the Athletic Director’s sole discretion the agreement may be terminated and IU’s obligation is reduced to six (6) months’ base salary (subject to mitigation) and contingent upon the assistant coach agreeing to a Severance Agreement/Release acceptable to the University. Consequently, the termination of Indiana Head Coach Tom Crean’s employment in March of this year effectively reduced IU’s obligations to assistant coaches by at least 9 months (depending upon whether the assistants were paid their monthly salary prior to Coach Crean’s termination); a savings of at least $567,481 staff-wide (exclusive of mitigation) relative to a termination without cause of the staff in the circumstance where Coach Crean remained as the Head Coach. Each of the Maryland assistant coaches received one year employment agreements (5/1/2016-4/30/2017). If the University terminated these agreements without cause, the Coach would be entitled to receive his base salary, supplemental annual income (for participation in off-court media and promotional activities) and bonuses earned up to the date of termination through the end of the agreement’s term. The foregoing sum is subject to mitigation from compensation the assistant earns from other employment during the term. Section 7.4 of each assistant’s contract provides that, “Termination shall occur in the event and on the day that Mark Turgeon’s services as Head Coach of the Team shall end.” In that case, Maryland’s contractual obligations to the assistant coaches cease. The effect of the foregoing is somewhat lessened because the University’s obligations were already temporally limited to the end of April. The Maryland assistants’ employment agreements do not distinguish among the reasons for Coach Turgeon’s departure. So, in the case where Coach Turgeon departs Maryland for another job, his Maryland assistant coaches at least maintain the opportunity to be hired by Coach Turgeon’s new employer. If Coach Turgeon is terminated by the University with or without cause, his realistic opportunity to secure another head coach position immediately is reduced – and greatly reduced in the relatively infrequent circumstances where cause exists – and the assistants are left neither a compensation cushion nor an obvious next employer. Each of the Ohio State assistants worked under a multi-year employment agreement with a term of at least three (3) years. In the event these agreements are terminated by Ohio State other than for cause, the assistant coach is entitled to liquidated damages payments based upon the date he receives notice of termination: (1) prior to June 30, 2017 – 12 months then-current base salary; (2) 7/1/2017-6/30/2018 – 6 months then-current base salary; or (3) 7/1/2018 – 6/30/2019 – 3 months then-current base salary. The employment agreements specifically provide that if Thad Matta is no longer Ohio State’s Head Coach (for any reason), then Ohio State reserves the right to terminate the assistant’s employment other than for cause, which effectively prescribes the same payment schedule as above. Notably, the Ohio State assistants are required to execute a comprehensive release in order to receive the applicable liquidated damages payment, which shall be made within seventy (70) days of the effective date of termination and which is not subject to mitigation. The most effective means to balance an assistant coach’s need for economic and employment security with a university’s need for fiscal responsibility and certainty is beyond the scope of this article. Yet the foregoing examples, taken from a single conference, highlight the importance and interplay of an employment agreement’s duration, compensation components (including benefits, which are routinely forfeited upon termination) and mitigation requirements. A simple but meaningful take away from this trend is that assistant coach contracts are now expressly marrying the economic and career interests of the coaching staff; a divergence from past trends such as “head coach in waiting” provisions that create the potential for divergent interests among the coaching staff. 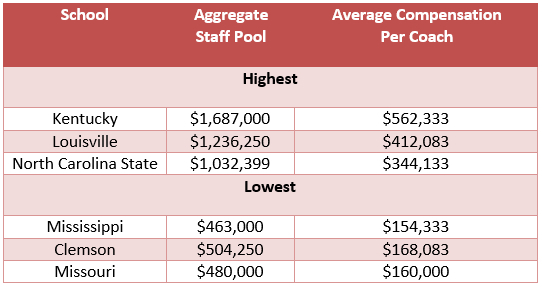 The program revenue and expense numbers used to calculate the following values were taken from Equity in Athletics Disclosure Act (EADA) reports submitted by public schools for the 2015-2016 reporting year (which was the most recently available information at the time of the review).